The light was shining through the tall trees near my house as I walked. Each branch had a backdrop of pale hues of gold and tan. God, who made the universe and who made YOU and ME, is making His light shine in our hearts, shining through us, His children. 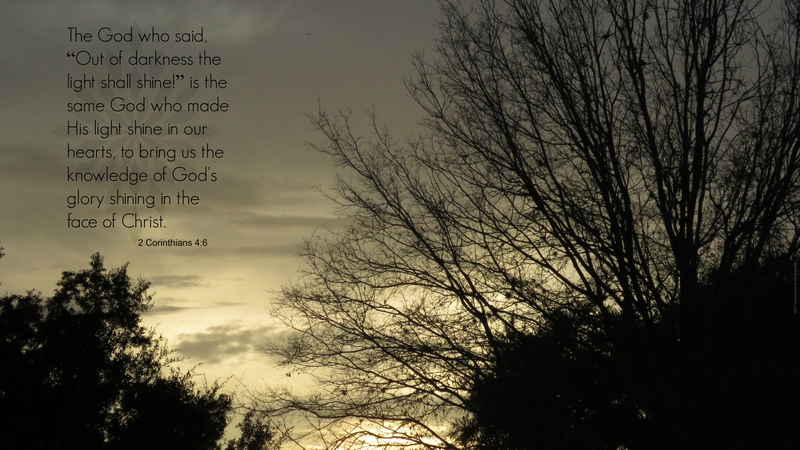 Think of it–He created everything. And He loves us so very much….. This entry was posted in Christian Devotions, darkness, glory, Inspirational photography, nature, sunset, trees and tagged 2 Corinthians 4:6, darkness, face of Jesus, glory, light, shining.